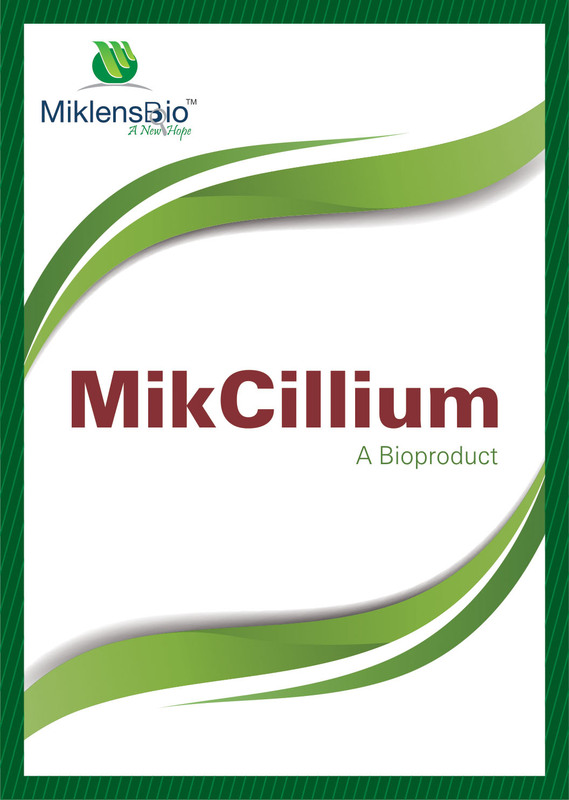 MIKCILLIUM contains Verticillium lecanii- an entomopathogenic fungus that effects and kills mealy bugs and sucking insects like thrips, jassids, aphids, whiteflies and mites. The product is available in liquid formulation and carrier based formulation. MIKCILLIUM performs well under high humidity to enable the entomopathogen to multiply and pathogenies the mealy bug. 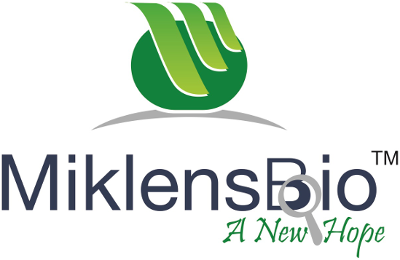 MIKCILLIUM contains spores and mycelial fragments with metabolites of verticillium which works under high humidity, low temperature. Conidian penetration – The microscopic conidial spore of the fungus is slimy and gets attached to the cuticle of the insect, hyphae from the germinating spores penetrate the insect body and destroys the midgut epithelial cells. 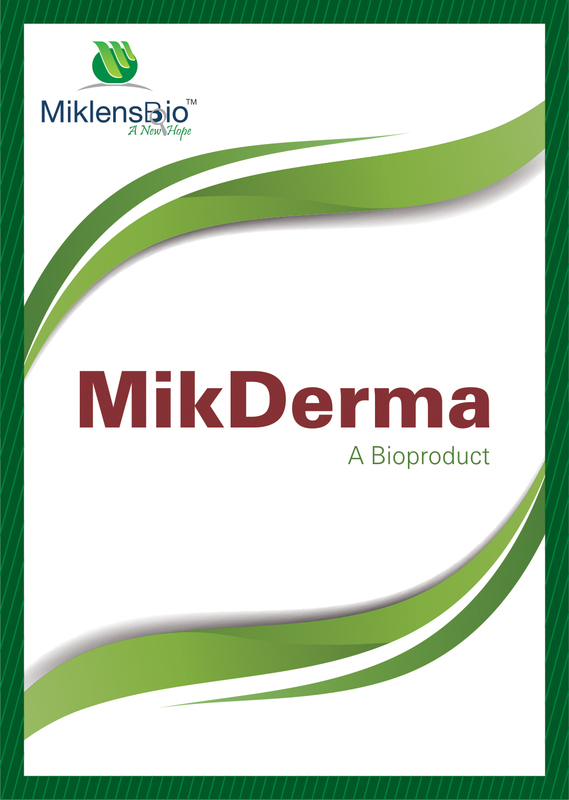 Enzyme and metabolite action: MIKCILLIUM produce toxins which has insecticidal properties. These toxins weaken the host immune system and aid in eventually killing it. Trichoderma viride is an antagonistic fungus which prevents the crops from diseases such as Root rots, Wilts, Brown rot, Damping off, Charcoal rot and other soil borne diseases in crops. It is suitable for Sugarcane, Pulses, Oilseeds, Cotton, Vegetables, Banana, Coconut, Oil palm, Chilies, Lime, Coffee & Tea, Areca nut & Rubber, Flower crops and Spices. Trichoderma are known for their production of several lytic enzymes and, among them T. viride and T. harzianum are commercialized. Strains of those species are widely used in biocontrol of soil borne plant-pathogenic fungi occurring in the most extreme to the most mundane of habitats. This fungus controls diseases by the production of several lytic enzymes. This fungus controls nematode infestation by feeding on infective nematodes. These fungi compete with other disease causing microbes for nutrients and space. These fungi increase the rate of plant growth and development, by developing more robust root. These deep roots cause crops to become more resistant to drought. It also solubilizes phosphates and micronutrients. T. harzianum produces enzymes-protease which controls Botrytis cinerea. It also helpful in solubilization and sequestration of inorganic nutrients. CFU - 1x 10 7 (CFUs)/g. Available in both liquid and carrier based formulation. MIKMONAS contains Antagonistic pseudomonas fluorescens is a microbe with high antibiosis potential. It enters the plant vascular system, reaches the various parts of the plant system and acts as systemic bio-control agent against various fungal and bacterial diseases such as Pythium spp., Phytophtora spp., Rhizoctonia solani, Fusarium spp, Botrytis cinerea, Sclerotium spp., Sclerotinia sp. and Ustilogo spp. It is suitable for plants like Tomatoes, Chilli, Cut flowers, Orchards, Vineyards Ornamentals, Potato, Cucumbers and Eggplant. Pseudomonas fluorescens are Gram-negative rod shaped aerobic bacteria that inhabit soil, plants, and water surfaces. Pseudomonas fluorescens produces a soluble, green fluorescent pigment pyoverdine which is responsible for chelating iron only when concentrations are low. Pseudomonas fluorescens are commensal species with plants, allowing plants to attain key nutrients, degrading pollutants, and suppressing pathogens via antibiotic productions. Pseudomonas produces secondary metabolites, many extracellular hydrolytic enzymes. Pseudomonas fluorescens produce exopolysaccharides which are used for protection against bacteriophages or dehydration as well as for defence against the host immune system. Pseudomonas fluorescens possess viscosin that enhances anti-virality. 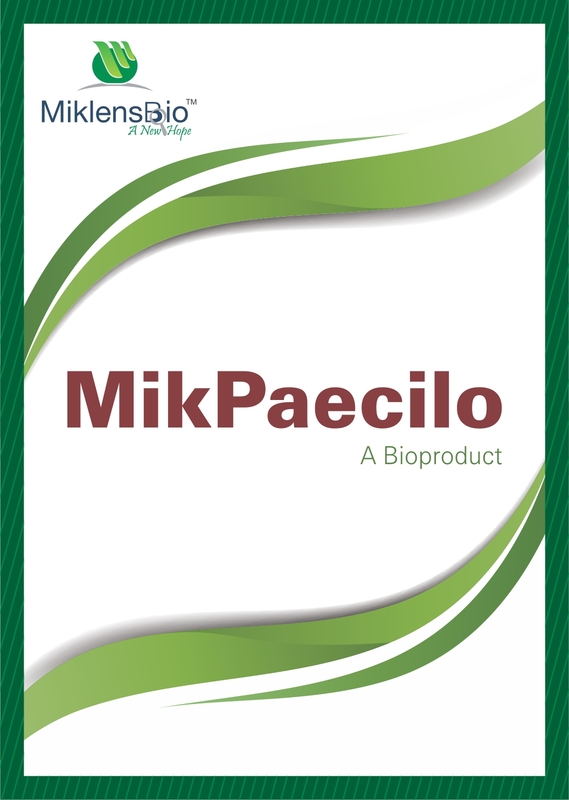 MIKPAECILO is a Paecilomyces lilacinus based product. Paecilomyces are basically filamentous fungus, effective against plant parasitic nematodes. Paecilomyces lilacinus is a common saprophytic, entomopathogenic, mycoparasitic, saprophytic, as well as nematophagous, filamentous fungus. It is parasitic on nematodes infecting eggs, juveniles, and adult females of root-knot and cyst nematodes. The species can grow at a wide range of temperatures – from 8°C to 38°C for a few isolates, with optimal growth in the range 26°C to 30°C. It also has a wide pH tolerance and can grow on a variety of substrates. P. lilacinus has shown promising results for use as a biocontrol agent to control the growth of destructive root-knot nematodes. Paecilomyces protects the roots against plant parasitic nematodes, specifically root-knot nematodes ( Meloidogyne spp. ), Banana nematodes ( Radophilus similis) reniform nematode ( Rotylenchulus reniformis), and citrus nematodes ( Tylenchulus semipenetrans). These nematodes infect horticultural crops of economic importance.